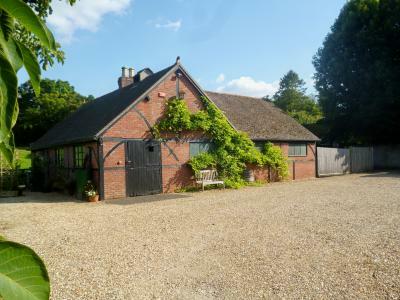 Forge & workshop in delightful rural setting to be used for equestrian purposes only with WC and small yard to the side. 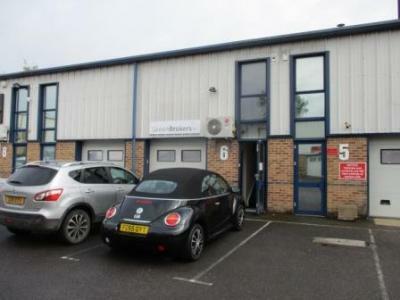 A two-storey business unit comprising ground floor workshop/storage and well-fitted first floor offices. 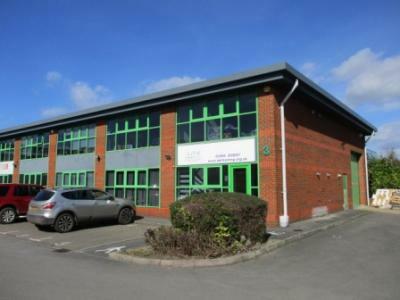 The premises are provided with a loading door 2.4 m (h) x 2.4 m [7'10" x 7'10"], separate personnel door, lighting, partial air-conditioning, laminate floor to offices, kitchenette, WC and 2 parking spaces. 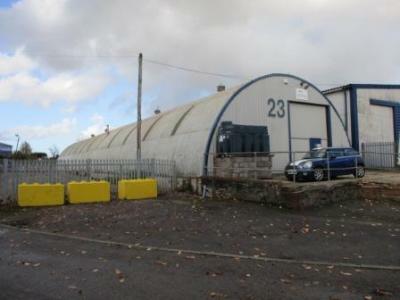 Factory/warehouse unit with an internal eaves height of 3.9 m [12'9"], large loading door, separate personnel door, lighting, WC and 4 parking spaces. Factory/warehouse unit with scope for office provision, internal eaves height of 3.9 m [12'9"], loading door 3.7 m (h) x 3.2 m [12'1" x 10'6"], separate personnel door, gas fired space heating, lighting, WC and 3 parking spaces. 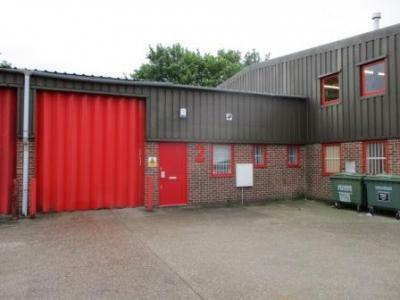 Semi-detached factory/warehouse unit with fitted office, internal eaves height of 4.3 m [14'1"], gas-fired space heating, lighting, loading door 3.5 m (h) x 3.2 m [11'6" x 10'6"], separate personnel door, kitchenette, WC and 6 parking spaces. 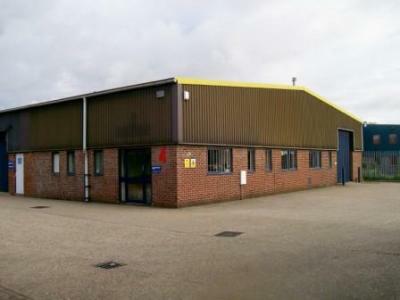 A rural factory/warehouse with partitioned offices, internal eaves height 2.1 m [6’10”], lighting, 2 loading doors, kitchenette, shared use of WCs and ample parking. 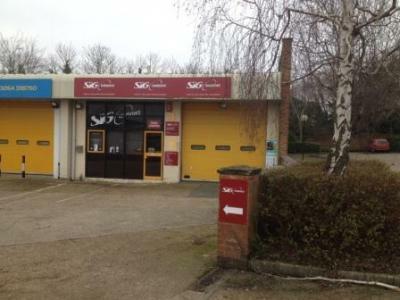 Factory/Warehouse/Trade Counter Unit in pleasant landscaped courtyard with attractive glazed front elevation, internal eaves height 4.5 m [14'9"], large loading door 3.5 m (h) x 3.6 m [11'6" x 11'10"], separate personnel door, gas-fired space heating, lighting, WCs and 5 parking spaces. 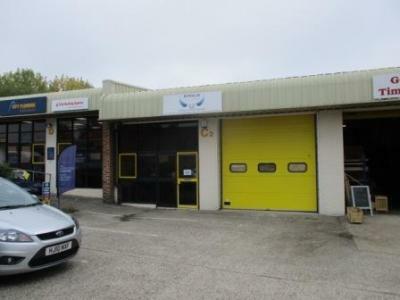 Nearby occupiers include: Brewers; City Plumbing Supplies; Dorset Auto Spares; Eurocell; GAP; Gerry's Timber; HSS Hire; Richard Knight Cars & Screwfix. 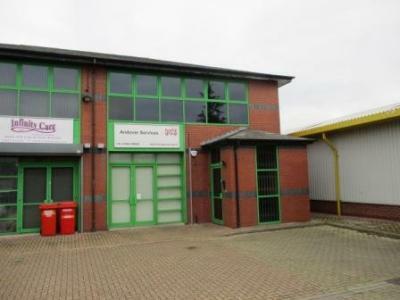 Semi-detached factory/warehouse unit set in a pleasant landscaped courtyard. 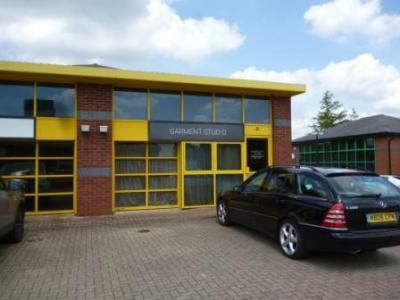 There are excellent offices with scope to extend if required, internal eaves height 5.5m [18'0"], heating, lighting, loading door 3.6 m (h) x 3.5 m [11'9" x 11'6"], separate personnel door, kitchenette and WCs together with 5 dedicated parking spaces and shared visitor spaces. 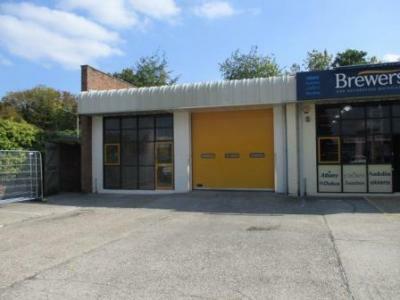 Factory/Warehouse/Trade Counter Unit opposite Screwfix in pleasant landscaped courtyard with attractive glazed front elevation, internal eaves height 4.5 m [14'9"], large loading door 3.5 m (h) x 3.6 m [11'6" x 11'10"], separate personnel door, lighting, WCs and 4 parking spaces. A newly built factory/warehouse unit with small office, internal eaves height of 5.1 m [16'9"], two electrically operated loading doors 4.0 m (h) x 3.0 m [13'1" x 9'10"], lighting, kitchenette, WC and parking. 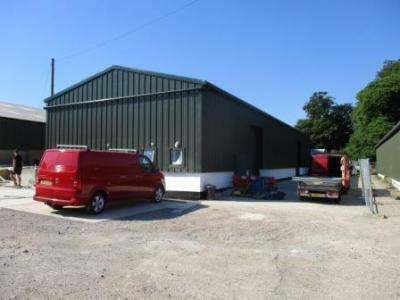 Factory/warehouse unit with heated single-storey office, lighting throughout, internal eaves height 4.8 m [15’9”], loading door 4.1 m (h) x 4.0 m [13’5” x 13’1”], separate personnel doors, WCs and rear forecourt together with parking for 6 cars and 1 lorry. 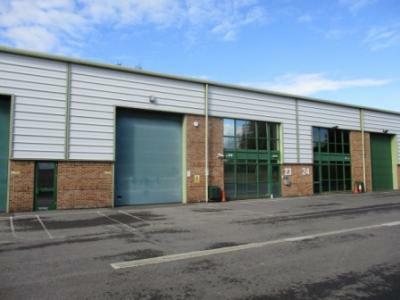 A factory/warehouse unit with well-fitted two-storey offices, internal eaves height 7.0 m [22'11"], loading door 5.0 m (h) x 4.0 m [16'5" x 13'1"], air-conditioning to offices, heating, lighting, kitchenette, WCs and 12 parking spaces. 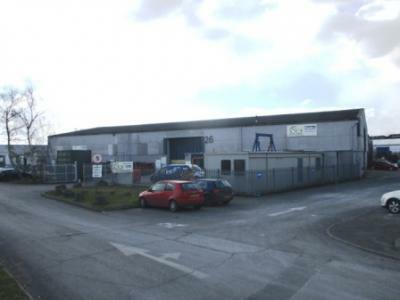 The premises comprise a detached factory/warehouse with a maximum internal eaves height of 5.4 m [17’9”], 2 loading doors, heating, lighting, WC, parking and secure yard of approximately 500m2 [5,382 ft2]. 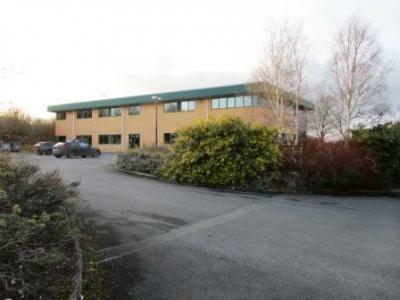 NB The adjoining Unit 4 Galileo Park of 182.4 m2 [1,963 ft2] is also available which could provide a combined unit of 763.1 m2 [8,214 ft2]. 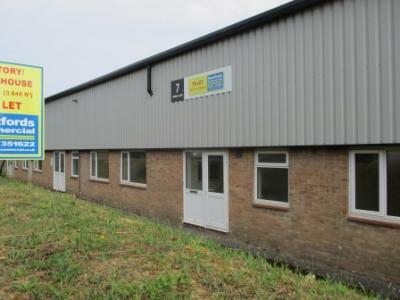 Semi-detached factory/warehouse unit with well-fitted offices/trade counter, useful mezzanine, internal eaves height of 4.3 m [14'1"], gas-fired space heating, lighting, loading door 3.4 m (h) x 3.6 m [11'2" x 11'10"], separate personnel doors, kitchenette, WCs and 12 parking spaces. 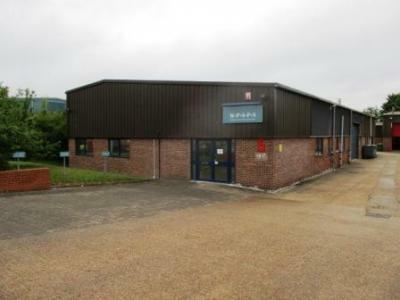 The premises comprise a Detached Office Building and a Detached Factory/Warehouse Building & Offices on a site of 0.36 hectares [0.86 acres] providing good lorry circulation space and a large rear car park together with optional adjoining paddock of 0.59 hectares [1.45 acres]. 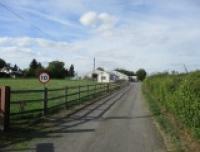 The Detached Office Building has an entrance porch, inner lobby, 5 offices, 2 WCs plus an external store and WC. The Detached Factory/Warehouse Building & Offices has 2 factory/warehouse areas with internal eaves heights of 3.0 & 2.7 m [10'0" & 8'10"] with partitioned office, canteen & WCs together with attached offices comprising lobby, inner hall, 3 offices, kitchen & 2 WCs. 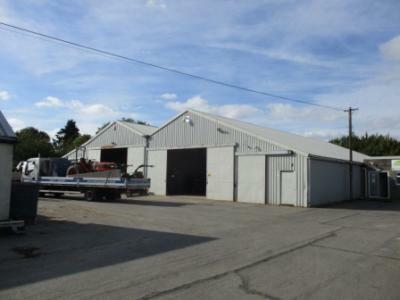 Factory/warehouse with single-storey offices, 5 loading doors, heating, lighting, kitchenettes, WCs, parking and secure yard. 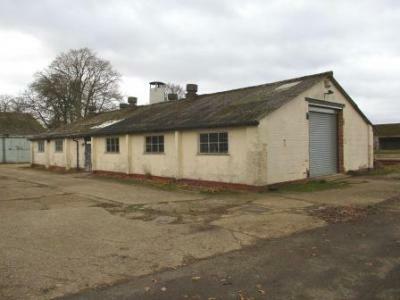 A detached factory/warehouse building on a 0.51 ha [1.27 acre] site with pleasantly fitted two-storey offices, covered loading canopy, internal eaves height 6.6 m [21'8"], 4 roller shutter loading doors 4.0 m (h) x 4.5 m [13'1" x 14'9"] - 2 at tailgate height, lighting, kitchenettes, WCs large rear concrete yard and 17 car parking spaces to the side.